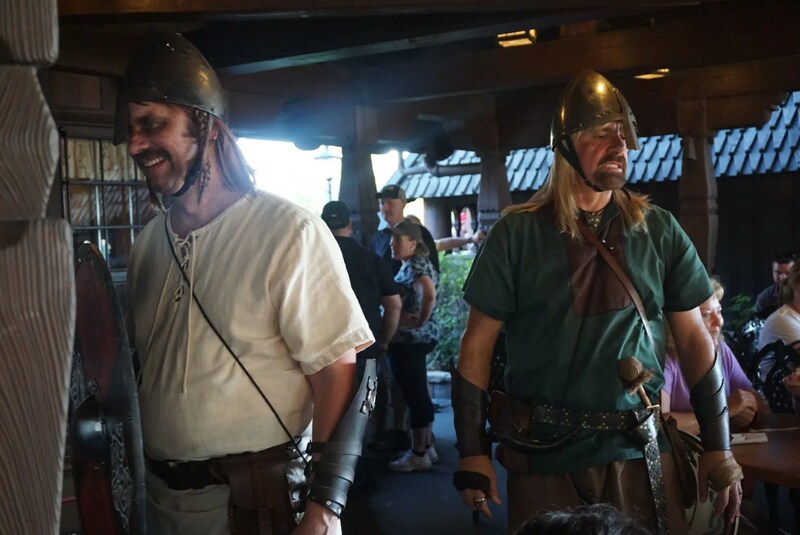 Though I’ve visited the bakery in Epcot’s Norway pavilion on most every trip, it had been years since I myself had had any food there. 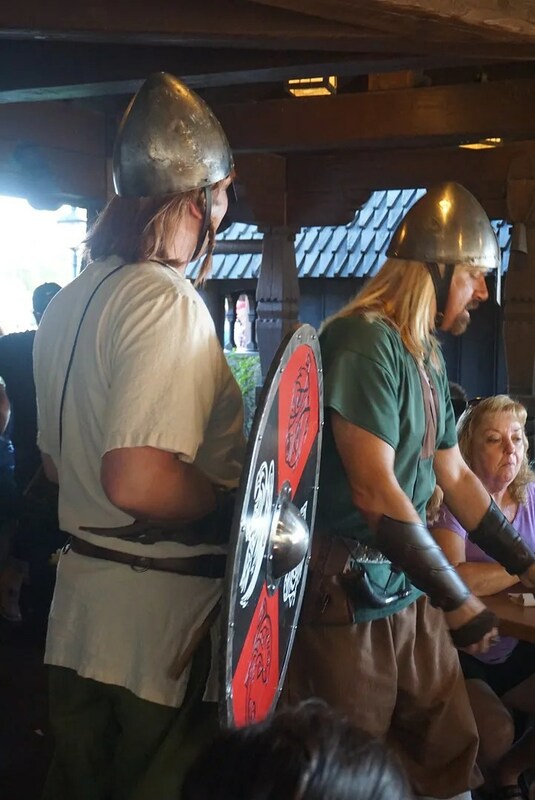 So I decided that on this visit that situation should change. 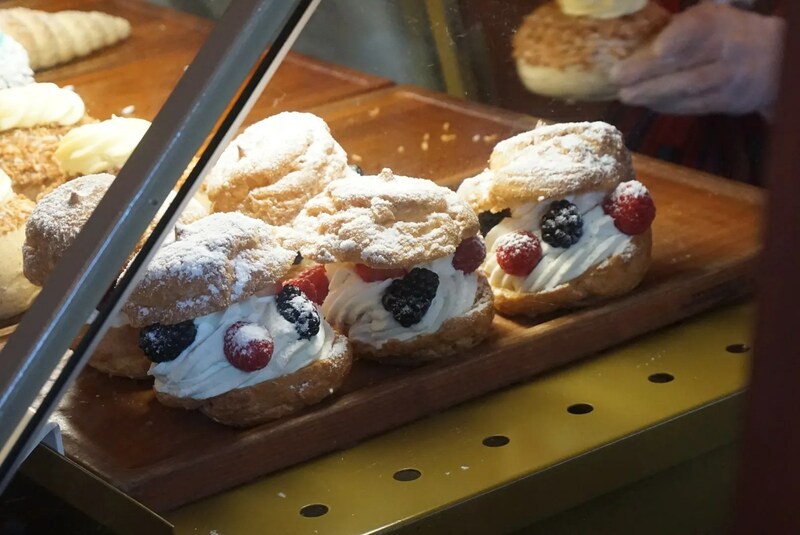 These cream puffs always look really good, so it was something I strongly considered but not what I ended up choosing. Perhaps next time! 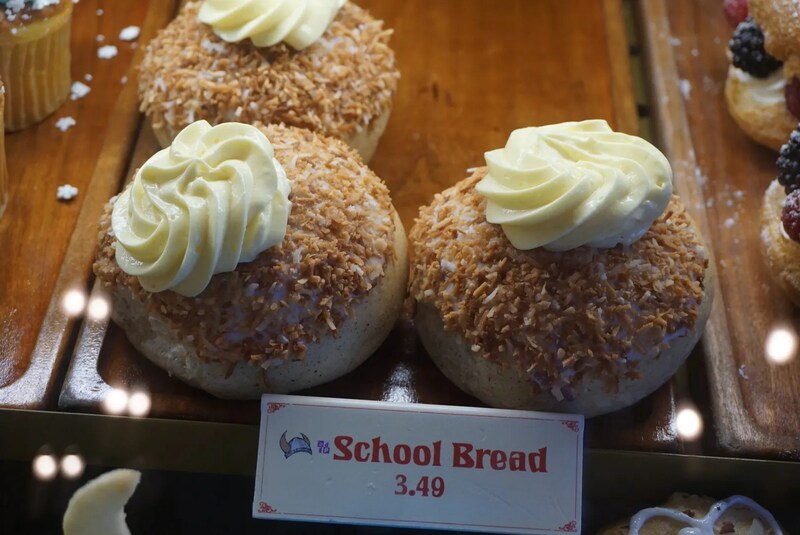 Also of note regarding the popular School Bread is that though it was priced at $3.49 in November 2017, it’s now listed on Disney’s online menu at $3.99 (a nearly 15% increase in one year’s time). 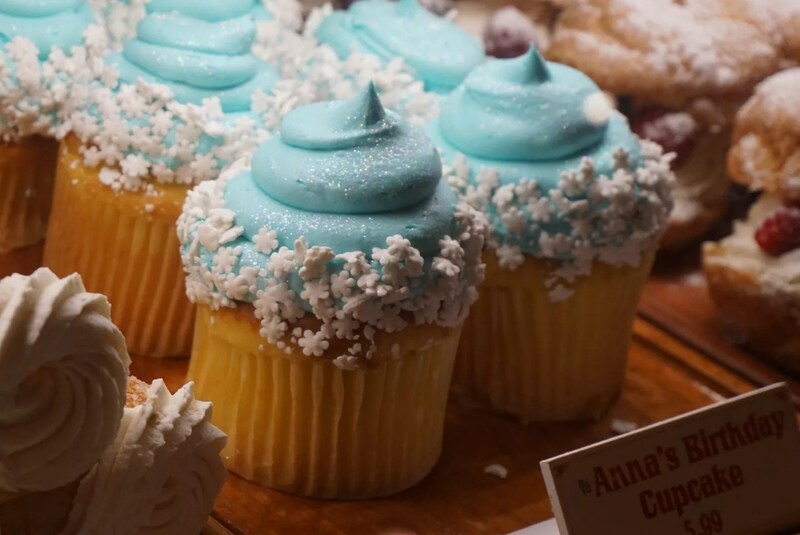 At this time (November 2017) Anna’s Birthday Cupcake Anna’s Birthday Cupcake was a vanilla cupcake with a marshmallow center and was topped with sparkly blue buttercream frosting and white snowflake candy sprinkles. And is now all about the chocolate, as it is a chocolate cupcake filled with chocolate mousse and topped with chocolate buttercream frosting and the same white snowflake sprinkles. 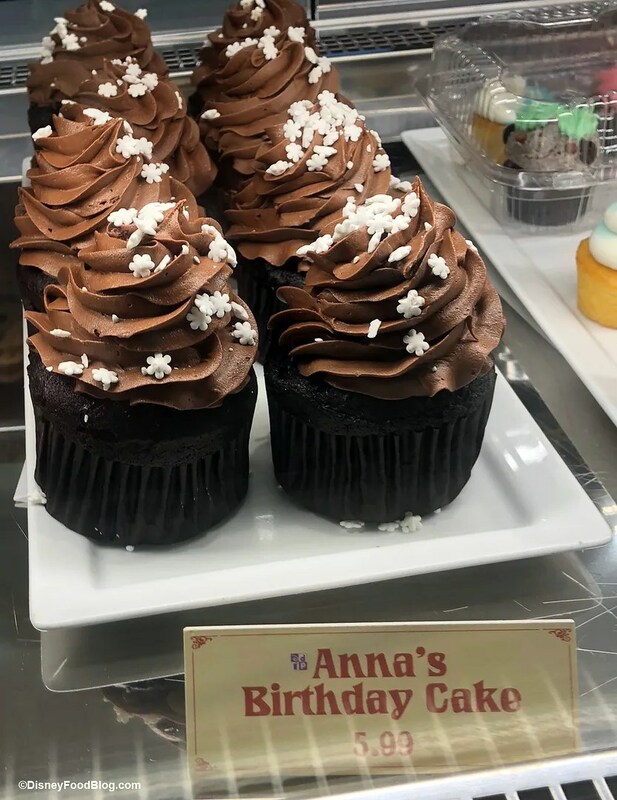 Personally I think the older version with its sparkly blue frosting was prettier, but I suppose if you’re a fan of chocolate this new version would be tastier. 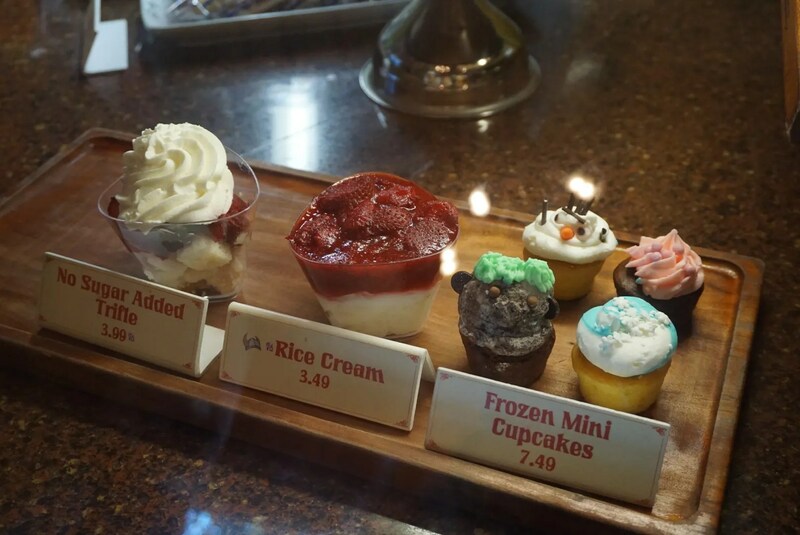 For $7.49 you get 4 mini cupcakes, however this was the only bakery treat that I saw which did not qualify as a Disney Dining Plan snack. Anyway, two of these were chocolate cupcakes, with the troll cupcake (front left) having oreo cream icing and the other one (back right) with pink strawberry frosting. Then the melting Olaf and blue snowflake swirl icing cupcakes were both vanilla. None of these had filling. Though I’ve had the Rice Cream (Rice Pudding topped with Strawberry Sauce) before (years ago) and enjoyed it, I didn’t choose it or the No Sugar Added Trifle either. Again I see they’ve increased the price of the Rice Cream, with it being $3.49 then (Nov. 2017) and is now listed on their online menu as $3.79. 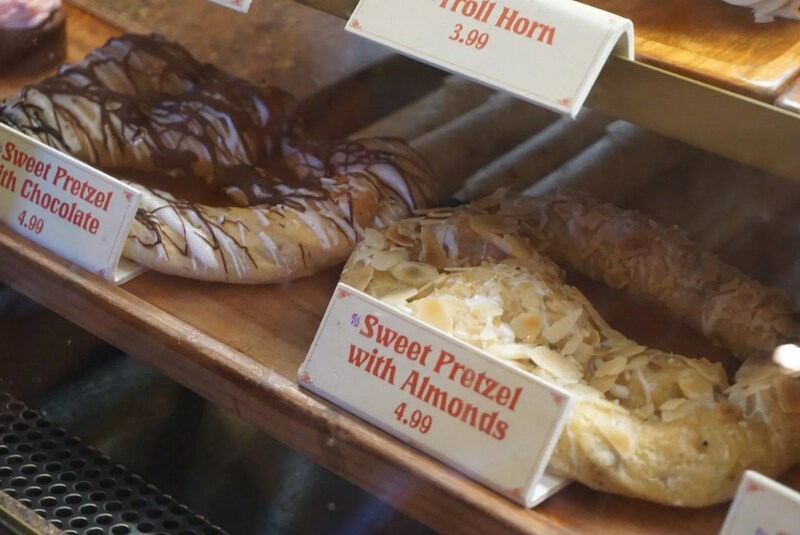 If I were here at breakfast time, I would consider getting a muffin but it was late afternoon so I passed on these. 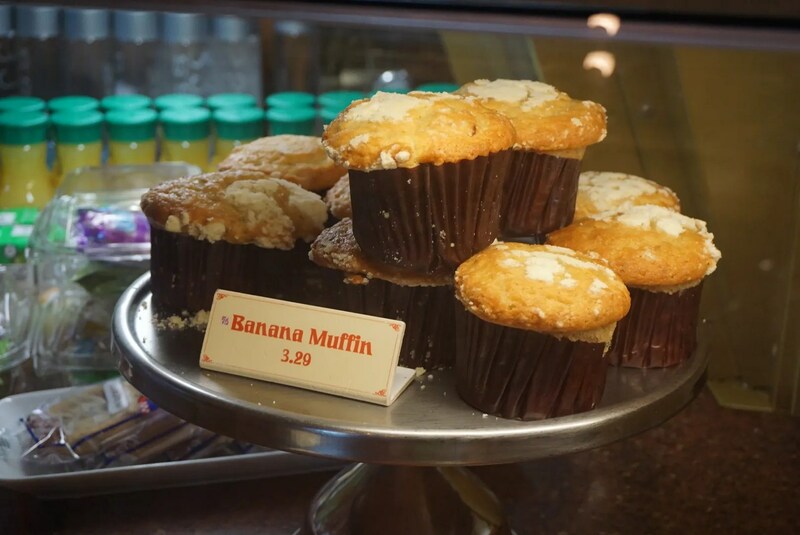 Of note though, the muffins were $3.29 then and now are $3.49, so another price increase. The Cinnamon Loaf here is huge and looks very good! 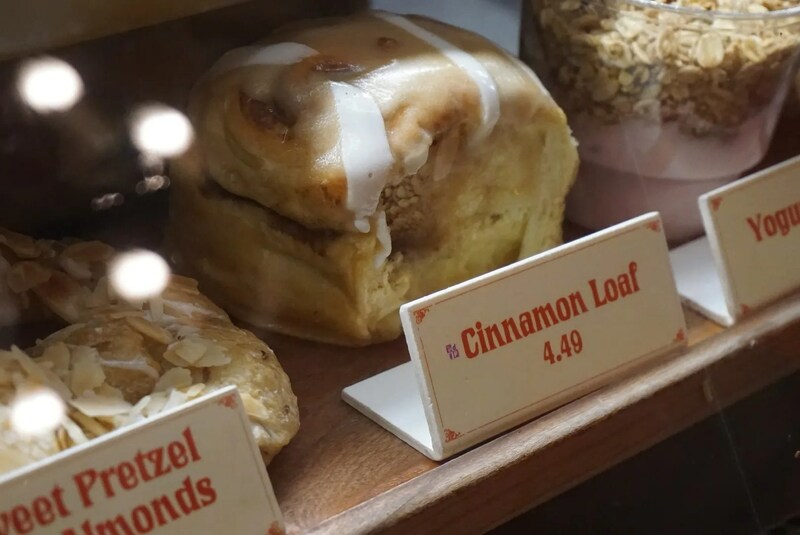 Also, though I didn’t get a better photo of it, they had Yogurt Parfaits (topped with lots of granola) in the display case next to the cinnamon loaf. Also caught in the above photo is another Norwegian treat, Lefse (Soft Flatbread rolled with Cinnamon, Sugar and Butter). 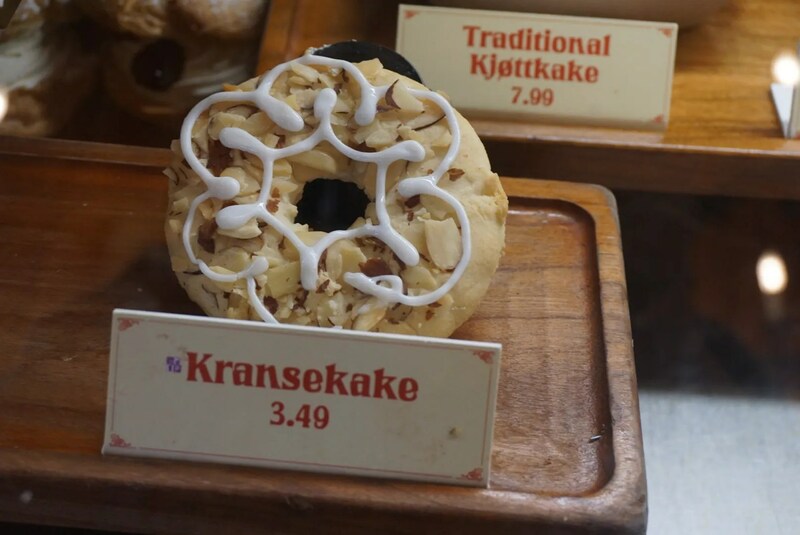 At $2.99, I think the Lefse is one of the cheapest (if not the cheapest) options at Kringla Bakeri. 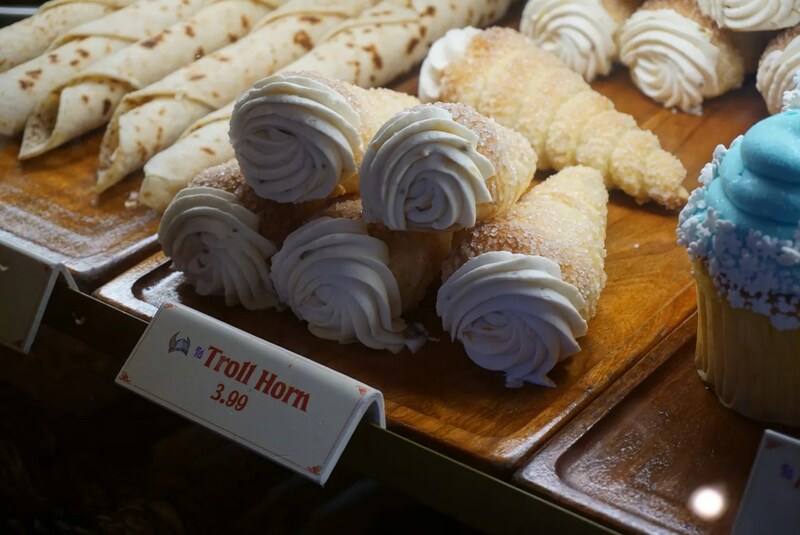 I am definitely going to try Kringla’s Troll Horn sometime, as I love crème horns, but it’s not what I chose this time. 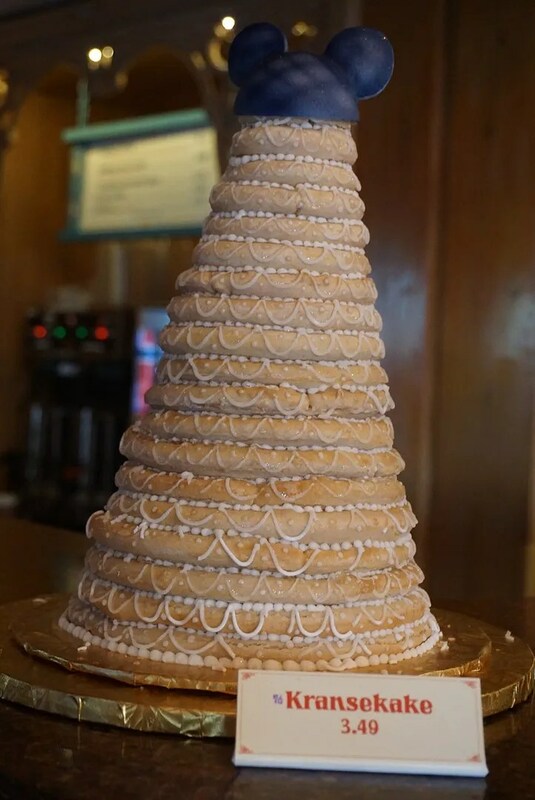 …and it sure looked delicious! 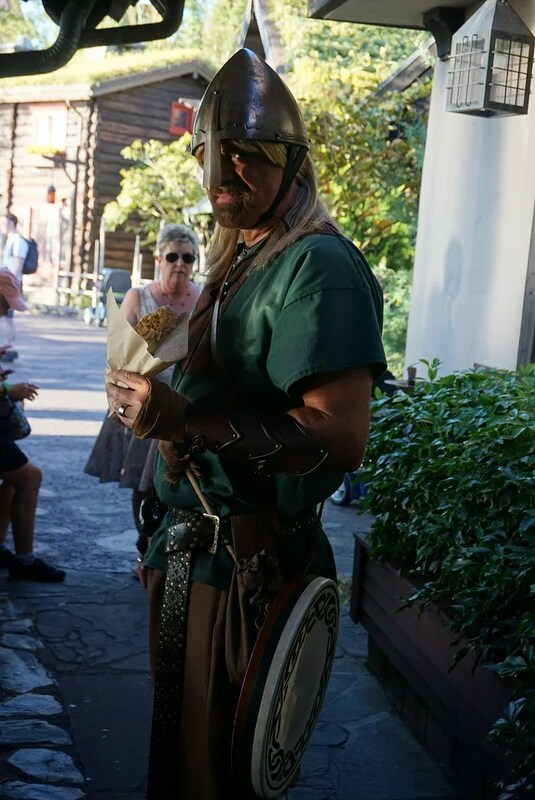 But apparently he wasn’t a fan of pretzels and soon he gave it back. As for me, I liked it but not enough to have it again. 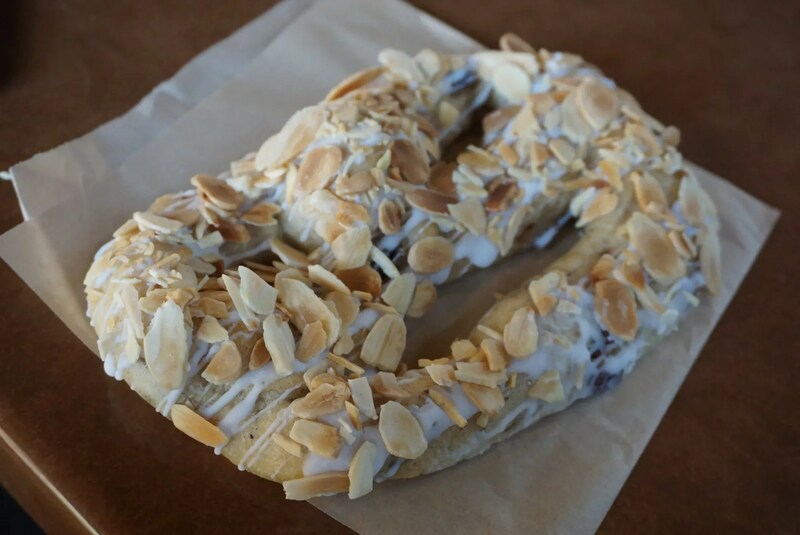 The texture surprised me a little, as it was not pretzel-like but instead more like a chewy bagel. 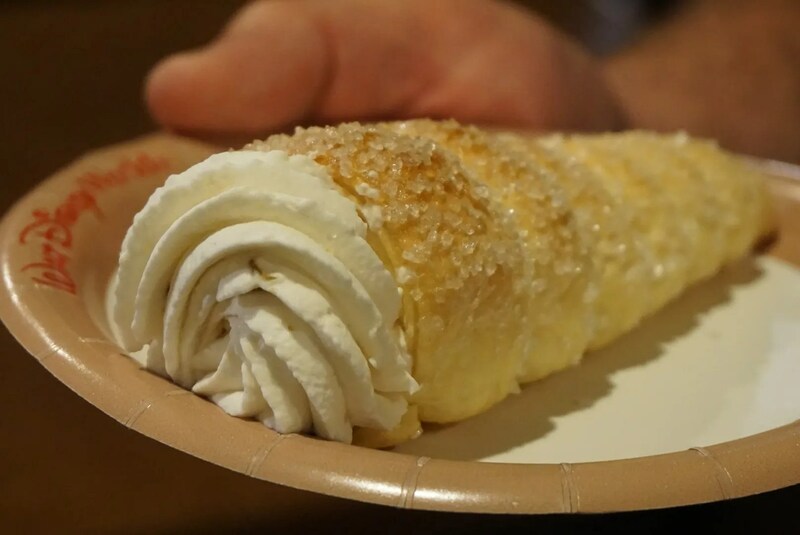 So while I’m glad I gave this a try, on my next visit to Kringla Bakeri I’ll be trying something else.